The backyard; an important staging ground for summertime bliss. North Americans put a lot of time and energy into making the backyard into a place of fun and comfort. We build decks and plan patios. We furnish our backyards with dining areas and with places to drink our morning coffee on the weekends. We play games and sports out there. We swim in swimming pools. We set up climbing equipment and playhouses for the kids (and sometimes for us!). We erect pergolas, gazebos, and arbors, and install awnings and shade sails to help us enjoy the sun while staying cool and keep down the glare. Our backyards are central to our outdoor living leisure time, especially as summer approaches. But, it hasn’t always been that way. Like many areas of our lives, there is a history of the backyard that reveals that it grew up alongside of how our society has evolved, particularly by the end of the nineteenth century, through the twentieth, and now into our twenty-first. What is that history? What are some of the individual histories of the some of the most common elements in our backyards? And are there some common threads that can be followed from its beginning into our modern age? Well, let’s find out. When we think of backyards, we think of barbecues and family gatherings. Maybe we also think of weeding and mowing lawns, too. But, those activities are just a means to an end. When it comes to our backyards, we’re in it for the sheer fun of it, like our own recreational greenspace or park right behind our homes. The weeding is done! Hoist the badminton net! Activate the tiki torches! Put some shrimp on the barbie! Beer me! But, things weren’t always that way when it came to the backyard. In those homes that had a backyard space, it was not a place for fun, frolic, and frosty drinks. It was a place where hard work was done. And I’m not just talking about that weeding and lawn mowing I mentioned earlier. 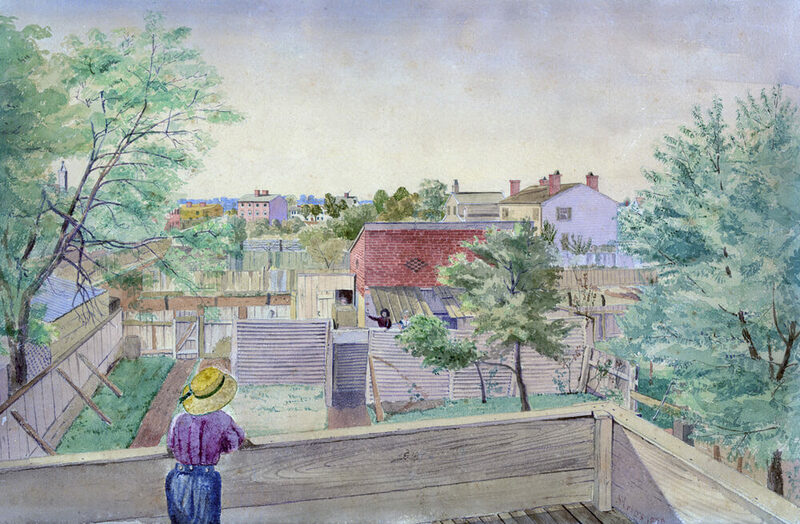 In the late 1800s and up to the end of World War II, even those not living in strictly rural settings used their backyards as spaces to support the economies of their households. This meant food gardens that would support the appetites and nutritional needs of everyone living there. The same went for livestock, with those animals who provided eggs, meat, and milk. Even animals need a place to crash. The backyard was it. 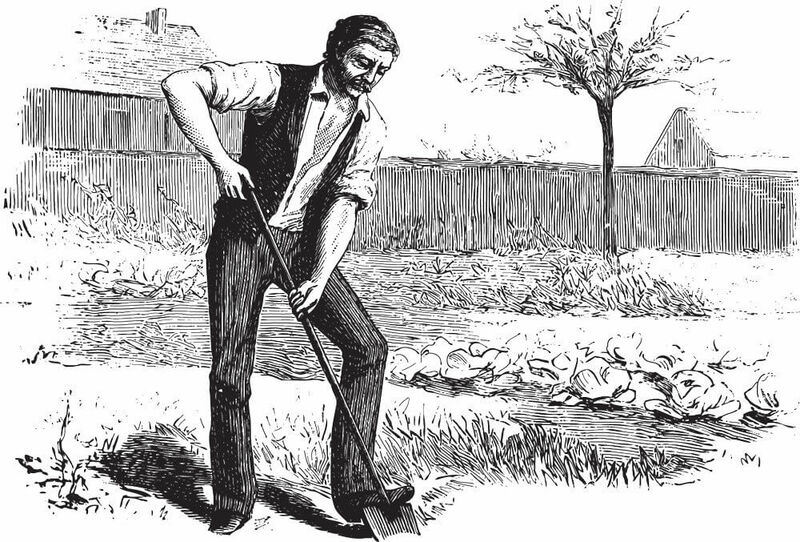 For those making a living at artisanal trades, much of that kind of work was done in backyards. This meant the storage of equipment and the use of space to use it was mandatory. Not much room for backyard badminton nets at this point in history, at least not in the average household. And remember, in the days before indoor plumbing (which saved our lives! ), the outhouse was parked out back, too. So, more room was needed for that. This made the backyard a center for practical things. This outdoor living space as a place defined by leisure was a ways off, yet. The backyard was just as vital a place in the home, even if the emphasis was on work and household affairs and not on fun. 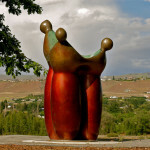 It was vital because it represented a self-contained economy that was managed by members of the household. Economies and use of space are tied together, as we know. The development of commerce has a tremendous effect on how we live at home. This principle of commerce having a transformative impact on how we live at home definitely applies to the backyard. When’s the last time you milked a cow back there? The answer to that question has varied over the decades. This time of self-sufficiency before the end of World War I is simply a reflection of how the world did business at one time. When it came to food purchased in large quantities, buying goods in bulk when you’ve got no freezer space, or in fact a freezer in the modern sense, wasn’t really a viable option. So, where’s the best place to keep your food? Well, in the ground (or at very least in a root cellar). And where’s the best place for that? You guessed it! In the backyard where you’ve got the land, rather than to store it in an appliance that doesn’t quite, well, exist in the way we know it today. To that point about buying in bulk, Costco’s time would come. But, not yet. 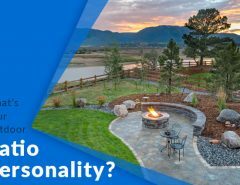 It would take a clever cocktail of economic policy decisions, an increase in consumer demand, and the rise of certain kinds of technology to change the game when it came to life in our outdoor living spaces in that post-war era. After the war, the economies in the United States and in Canada were revitalized. This was down to an investment in infrastructure (particularly the highway system by the mid-1950s) and in those coming back from the war to begin new lives. The G.I Bill in the United States gave a financial boost to those looking to start in business, to go to school to learn a trade or get a degree, and to buy a home in the newly minted suburbs. During this time, people were empowered to spend, which is always a common denominator in a rebounding economy. In the kitchen alone, there were great strides made in how the household economy was managed, thanks to new technology in food preparation and in storage. Businesses boomed too, thanks to the high demand of appliances. The development of the supermarket chain had been slowly a-brewin’ since the 1920s. But, by the late forties, it was in full swing, having been boosted by the invention of the shopping center, and by other retail models centered around the automobile that began in earnest in the fifties and into the sixties. What does this have to do with the backyard? Well plenty! Think of the space one could save back there in the once cluttered backyard, thanks to proper refrigeration that could be managed indoors by new-fangled appliances and by increased supply of goods to a more affluent populace. This economic shift enabled that populace to simply buy what they wanted in greater quantities without having to grow it themselves. And since there was less of a necessity to set aside room for the family garden, what was to be done with all of that space? That’s right. 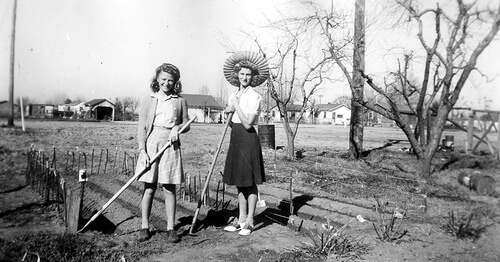 At the height of consumer culture in the fifties and sixties, what had once been a place to grow food and engage in labor to keep the household afloat primarily became a place of relaxation and leisure instead. Household economies had shifted from being self-contained to being a part of a wider consumer culture. This meant that the role of leisure in the life of the average homeowner increased significantly. There was more time for it, as well as more space. 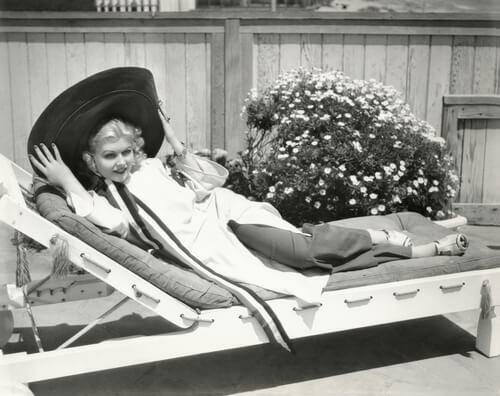 Yet even with this, the role of leisure in the backyard had other implications, culturally speaking. This idea of having one’s own little piece of greenspace behind the house in order to relax and to play was the new normal by the post-war period, or at least it was the new normal for more people than before. The backyard was no longer just treated or thought about as a place of practicalities. It became about feelings of accomplishment and status. It became a symbol for The American Dream itself. Powerful stuff. 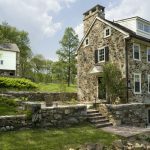 After the backyard became redefined by this cultural and economic shift, a few core elements that represent the fully-realized backyard even today in the twenty-first century began to emerge. Let’s take a look at some of them. Another shift happened as far as outdoor living is concerned as one era clicked over into another, and as space opened up in the backyard. We began to actually hang out there. At one time when it came to outdoor living, we would hang out on the porch in the front yard. But, the backyard became the key element to our homes once all that space was freed up thanks to a shift in economy and culture. Now that we had the space and more time to relax, all we needed was a comfortable staging area for our time there. 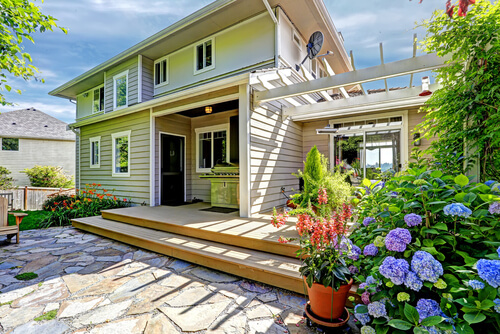 Enter the key elements of the deck and the patio. The deck allows a staging area for life in the backyard even now. It also allows us to extend the range of our homes as a whole, making better use of our whole property. That the crude patch of earth out back from an earlier age just wasn’t ideal to leisure time. For one thing, it was messy particularly after it rained. By the time that leisure ruled in the backyard, no one wanted to get dirty like they used to when it was all business in one’s outdoor space. 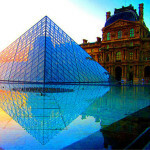 So in the new era, it was to be covered either by paving stones, or by a raised wooden platform, that was usually square or rectangular and one a single level. This would change over time and become multilevel, and incorporate hot tubs and other accessories. 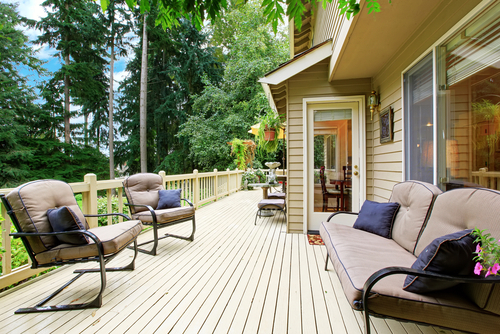 Sometimes, decks and patios were used in conjuction, or contrasted with a lawn which also kept things clean out back. We also wanted to use our outdoor spaces in all kinds of weather. Matched with awnings and other structures, these hard surfaces enabled us to do that, and to be comfortable. A wood deck and stone paver patio combo, designed for comfort, and not for work. 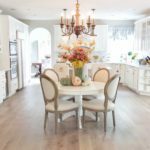 These hard surfaces are meant to keep things that way, with minimal mess out back, and an overall more aesthetically pleasing home designed to communicate comfort and, let’s face it, economic status, too. 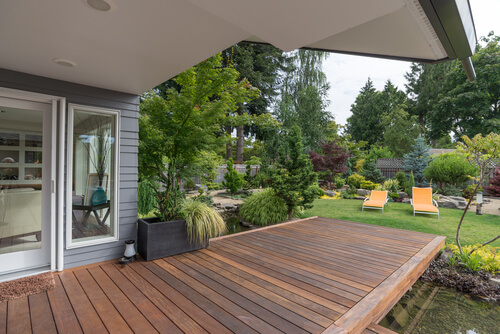 Overall, decks and patios were a means to ensure that leisure and comfort were the guiding principles in a backyard space, just as the porch did the same thing in the front of a house in earlier eras. They would provide sure footing, made respectively of wood and concrete. 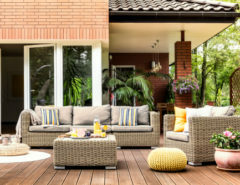 Later on, new products like composite decking, bamboo decking, vinyl decking, and deck tiles would open up the options for homeowners. Natural stone pavers would help to re-define and expand the options for the look and function of a patio, including all kinds of hardscaping elements like pathways and pool surrounds. 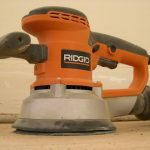 All of this resurfacing of backyard spaces, also including manicured lawns and other kinds of groundcover of course, wasn’t just about the practical. It had to do with definition, too. With these materials and structures, a sense of contrast was created. 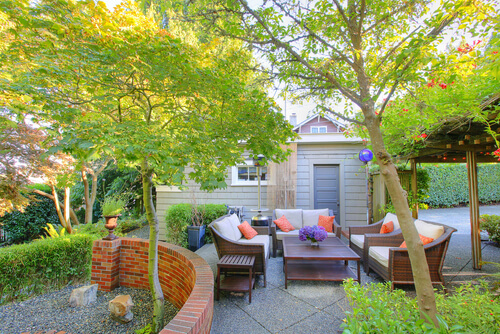 This meant that a backyard could be customized into an individual statement, just like any other space in one’s home. It became about style, as well as practicality. 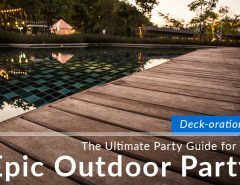 The deck is a basis for style in an outdoor living space. It’s a staging area for leisure in the backyard, the new role which that space began to play in the post-war twentieth century era. That role endures today in the twenty-first century, too. The swimming pool had come a long way since the days of the Ancient World when bathing in a made pool was a communal affair. Even into the twentieth century, this was still the case. There were swimming pools in private backyards before that post-war period, of course. 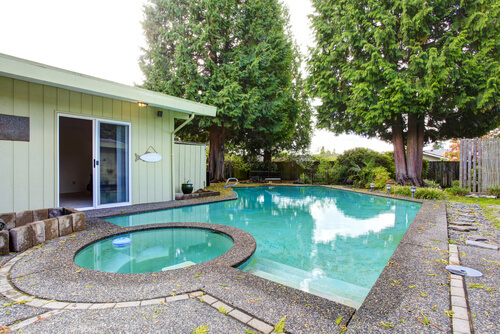 But, the presence of the kidney-shaped pool in the backyard of a suburban home is a classic image of the Mid-Century modern period when business boomed for private swimming pools. Part of the demand for this was encouraged by popular culture by way of the movies of the post-war period, with the swimming pool becoming a key status symbol, not just another addition to the backyard. Another had to do with evolving technology when it came to filters and cleaning. This made having a swimming pool pretty accessible in one’s backyard. 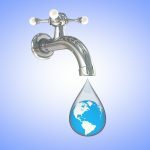 The role of the swimming pool endures today, and with a number of variations on the theme from infinity edge pools, to natural swimming pools that use fewer chemicals to keep them clean. The private backyard swimming pool; a sign that leisure rules the space in the modern age. Swimming pools were the anchor to a shift from an empty lot to a space for leisure in the backyard. Once again, this had, and has, to do with a sense of status as much as it does with comfort. This central idea goes beyond the swimming pool, and can really be attached to our ideal visions for backyards even today. Here are a few more examples of that. Just like we saw with the swimming pool, cooking outdoors as a part of the routine of life at home stretches back to the dawn of civilization. It most likely stretches to even earlier, when humankind learned how tasty and more easily digested mammoth meat could be when cooked a bit over a fire. 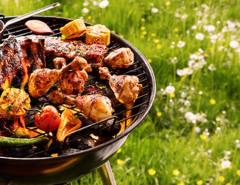 But, in our era today, the act of barbecuing in our backyards and in all the different ways we’ve learned to do it, has become a anchor for how we experience life outside, particularly during the warmer months. It’s not just about the food (and it is about the food!). It’s about the act of barbecuing itself, an important ritual to the contented life outside and all of the social opportunities it creates. Barbecuing in the summertime; it’s not just a feature of the backyard. It’s a part of our culture. More recently, the outdoor kitchen has made something of a resurgence, adding to and going well beyond the all-important barbecue ritual in our backyards. Once again, the outdoor kitchen is nothing new. 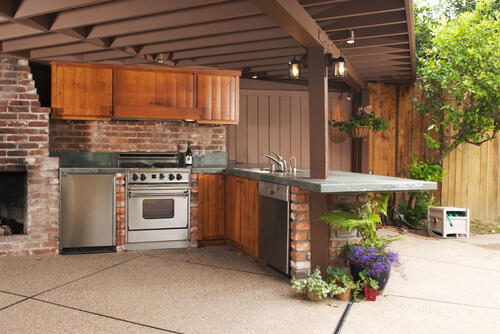 Even during that “backyard as workplace” era, the outdoor kitchen was about minimizing heat in the house during the summertime while the cook of the house slaved over a hot oven – albeit outside! But in our new era, the outdoor kitchen has been re-defined again. Outdoor kitchens; fully operational spaces! 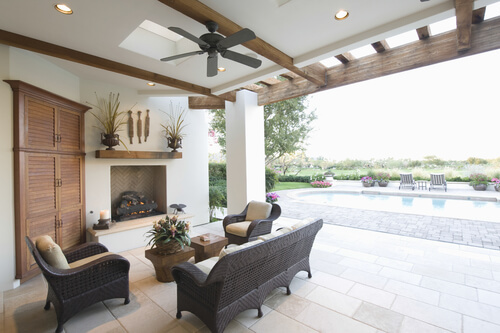 Outdoor spaces not only make for convenient additions to outdoor spaces. They also bolster what we’re able to accomplish in our homes overall. This adds value in all kinds of ways, including the ability to add rooms to our homes without having to disrupt life indoors. For one thing, it is designed to be supplemental to the main kitchen, which is something of a departure from charcoal brickettes and “kiss the cook” barbecue aprons of the seventies and eighties. Modern outdoor kitchens make the backyard a nerve center for life outside at home, equal to what goes on inside in the main kitchen. They are completely self-contained, making it possible for us to create the same meal outdoors as we can create in traditional kitchens indoors. 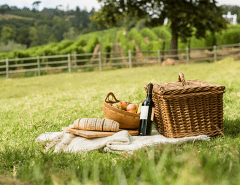 Ovens, sinks, storage, dishwashers, and dedicated counter space for food preparation are becoming more and more common in outdoor living spaces. So, to what is all of this leading, anyway? It seems as though a new era still is being built upon from that post-war period we’ve been talking about. Specifically, it’s about how our backyard spaces are re-defining what happens indoors, too. The relationship with our homes changed again. Let’s touch on that next. The backyard is still thought of as a place of leisure. That’s the legacy of the last half of the twentieth century still at work. But, this is a new century. So, things have changed even still out in the backyard. Where once there was a clear division between outdoors and in, that division has gotten more and more blurry over time. By now, when we hear the word “backyard”, it means more than just a place where we keep the swimming pool or the swing set. There are shades of meaning to be found there, since yet another term is being used more and more in recent years; “the outdoor room”. So, what’s all the hubbub? Is it indoors? Well, not really. Is it fully outdoors? Not really again. Blurring the lines between outdoors and indoors is a twenty-first century thing. Well, it’s all about a sense of continuity and about the best use of space indoors as well as out. Just as space dictated the shift from working spaces in backyards to leisure spaces, the same dynamic is at work in our era, even if it produces a slightly different result. Toward the end of the two-thousands, the housing crash put the kibosh on many a dream of buying a bigger home. So, that meant that the idea of the dream home changed direction slightly. It wasn’t necessarily something you bought anymore. It was something you created where you were. 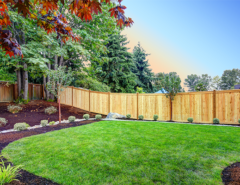 The backyard has been a key area for creating an ideal home; more space, more variation, and more comfort without having to move to a bigger property. This isn’t just about leisure time as it once was. It’s about what being at “home” means to us, with a sense of continuity between outdoors and in. This idea connected with the way we began to plan our backyards into outdoor rooms, and outdoor living spaces. Sure, the invention of the sliding glass door during that same Mid-Century Modern period we’ve been talking about helped to start the idea of continuity between indoors and out. But, by the twenty-first century, it became important, nay vital, to make the most of our spaces and to make each part of our spaces distinct and cohesive all at once no matter which side of the glass it’s on. The outdoor space and the transition between a living room to a deck was to be as seamless as possible. This meant higher quality, look, and durability on the way that outdoor furniture is made. It meant better amenities, too. We’ve already talked about how robust the modern outdoor kitchen is. But, outdoor showers, outdoor offices which may or may not include an outbuilding, and even outdoor bars and other recreational spaces became more and more common in the backyard. The backyard has enabled us to extend the range of our homes. 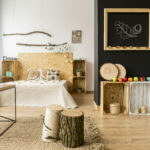 It’s allowed us the space to re-imagine what can be included in our home. It’s allowed us to do it without having to buy a new home, an important aspect as the real estate game becomes more and more competitive at best, and inaccessible at worst. As we’ve learned whenever we look at history in any way, it doesn’t move in a straight line. It sometimes looks that way. But, history tends to move in circles instead. That means even if we can trace the history of the backyard from a workspace, to a leisure space, and then again into a space that creates lifestyle and design potential for our homes as a whole, that doesn’t mean that these movements are uniform across the board. Some of the elements we saw in the past are growing more and more present, making a return in a new form to suit the times. 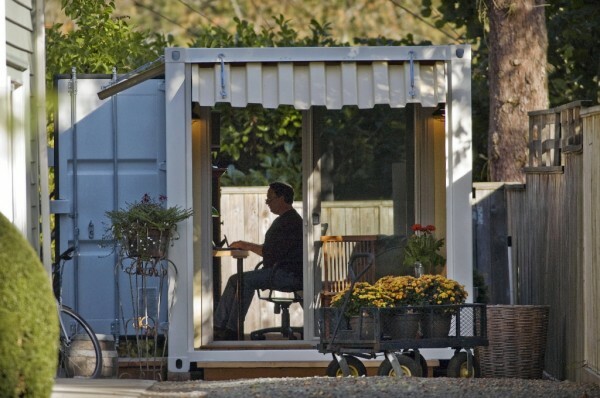 For instance, since more and more people are beginning to work from home or at least spend a chunk of their work week in a home office of some kind, at least a portion the backyard is used as that all-business space once again, although more so with laptops and smart phones along with more artisanal equipment. The same goes for gardens meant to feed the family. More and more people are using their backyard space for growing their own fresh fruits, vegetables, and herbs to cut down on food bills, and to minimize reliance on a food industry that is putting more and more distance between the farm and the consumer. It’s the return of the self-contained home economy! 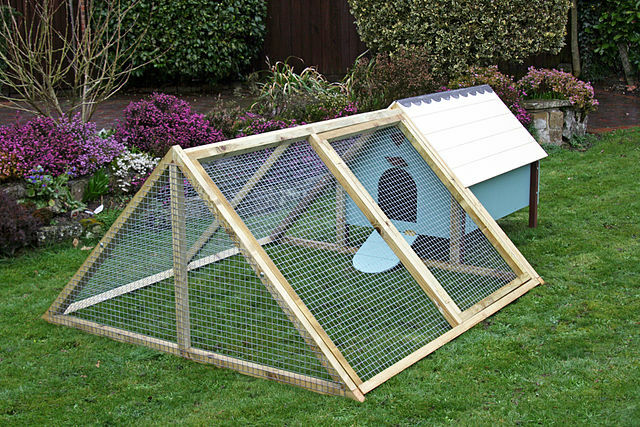 And in some cities (including Vancouver, the city I’m writing this in), keeping livestock like chickens in the backyard is also making a resurgence for a lot of the same reasons that people grow vegetables. The post-war attitude of the supermarket replacing the home food economy is no longer completely universal. 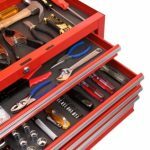 True to many areas of life at home in the twenty-first century, any good idea that can be practically applied is fair game, even if it’s low-tech, or even old-timey. Like history, the idea of progress is circular as well. That’s becoming more and more apparent in our current era, where we borrow from the past to help shape the present, and ultimately the future, too. This is reflected in our spaces, including the backyard. Our backyards are a valuable part of our homes. They are highly coveted as key places to create reflections of our values, interests, and personalities. They are places of comfort, and for social interaction. They haven’t always played this role. But, they have always been a vital part of our lives as long as we’ve had them. In short, the backyard is more than just a patch of land behind our homes.